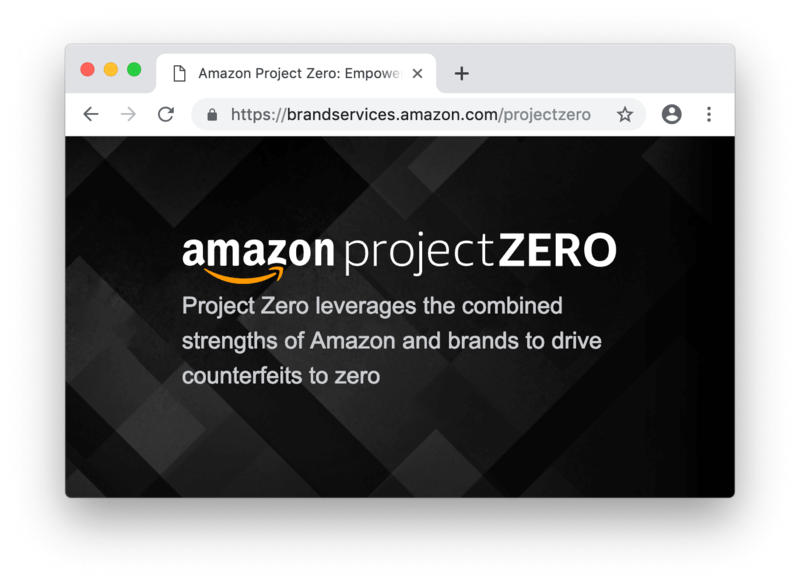 Last month Amazon announced Project Zero, a tool allowing approved brands to directly flag and remove counterfeit listings of their products from Amazon. Previously brands would have to submit a request case to Amazon. Now, though, brands will be able to remove listings without Amazon’s help. The problem of counterfeits has existed long before Amazon, but as Amazon grew in market share so has the question of how much of its inventory is counterfeit. Amazon built the marketplace business to unlock SKU growth and attain brands which it couldn’t onboard itself. However, the open the nature of the marketplace has also meant more avenues for counterfeits. Traditional retailers prevent counterfeits by trusting the supply chain, where each step and each vendor is known and verified. This model doesn’t work well for marketplaces where the number of vendors is not tens of thousands, but multiple millions, many of which are overseas, and thousands more join every day. “Courts have yet to find Amazon liable for selling counterfeit products on its site, because the company has been able to argue that it is a platform for sellers, rather than a seller itself,” Alana Semuels wrote in The Atlantic. The open marketplace frustrates brands, some of which have quit selling to Amazon altogether after not being to weed out counterfeits. “The Amazon marketplace, which operates as an ‘open market,’ creates an environment where we experience unacceptable business practices which we believe jeopardize our brand,” David Kahan, CEO of Birkenstock. Brands and customers have been waiting for a solution from Amazon for years. The thing is, Amazon cannot solve counterfeits. Not without changing the fundamental structure of the marketplace it operates or slowing down its Fulfillment by Amazon (FBA) warehouses to a halt. Amazon cannot solve this because it - Amazon the company - is the bottleneck. The company has a team available 24/7 to take action on reported violations, but it can never be big enough to handle all cases correctly and fast. Sometimes it takes longer than a week for Amazon to respond, all meanwhile sales of the original product are negatively affected. Counterfeits are a bottleneck to growth, Amazon’s internal process, resources and structure is the bottleneck, Amazon could not possibly or profitably deploy enough resources to remove this bottleneck, so it instead is trying to eliminate that bottleneck by enabling the broader brands marketplace to solve it en masse. Project Zero might not solve the counterfeits issue. However, nor would anything Amazon itself could do. Given the scale of Amazon’s marketplace - millions of sellers, close to a million brands, half a billion of products - it is the bottleneck. The long-term functionality and reach of the Brand Registry and Project Zero programs are trying to remove that bottleneck.